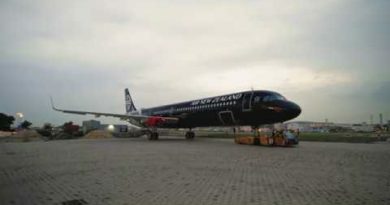 Air New Zealand is investing in 13 Airbus neo aircraft (seven A321neos and six A320neos) to replace the A320 fleet that currently operates Tasman and Pacific Island services and a further seven Airbus A321neo for anticipated domestic network growth. At current list prices, the combined value of the two aircraft orders is NZD$2.8 billion. The new cabin layout for the international aircraft will have 165 seats on board the A320neos while the longer A321neos will offer 214 seats – 46 more than the airline’s current international A320 fleet. A seat map can be viewed online here. 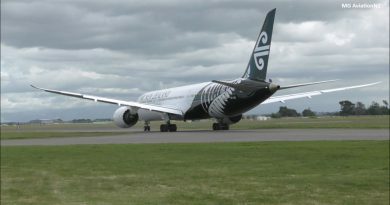 Air New Zealand Chief Executive Officer Christopher Luxon says the arrival of the new fleet is a significant step in the airline’s short haul strategy. “Australia and the Pacific Islands are a vitally important part of our Pacific Rim network. We operate up to 240 services each week with our Airbus narrow body aircraft. These new aircraft are key to enabling us to grow our short haul network while offering our customers a great inflight experience,” says Mr Luxon. Customer feedback has informed much of the fleet’s new-look cabin interior. The New Zealand leather upholstered seats are 3cm wider at the middle seat and 1cm wider on the aisle and window. Their slim-line and curved design means passengers sink further into the seat back creating up to 7 percent more usable space when compared with the equivalent pitch on the existing fleet. Other customer enhancements include around 25 percent more overhead locker space, a new Android based inflight entertainment system with a larger 10” screen and high power USB charging points and Wi-Fi connectivity. “We extensively tested and refined the neo inflight experience with customers to ensure we could incorporate their feedback while meeting regulatory and operating requirements and we’re confident we’ve delivered an inflight experience our customers are going to enjoy,” says Mr Luxon. New generation engines, fuel efficient Sharklet wing tip devices and approximately 25 percent more seats mean the A321neos are expected to help deliver fuel savings and efficiencies of at least 15 percent compared with the aircraft they’re replacing, helping reduce carbon emissions. A second A321neo is also expected to enter service in November, while the airline’s first A320neo is scheduled for February 2019. The remaining aircraft will follow at intervals through until late 2019. The additional A321neos for the airline’s domestic network are expected to be delivered from 2020 to 2024. Air New Zealand customers are now able to book Airbus neo operated services for travel from mid-November at www.airnewzealand.co.nz. ← The heartwarming moment a chicken went flying.